Love it - Been here 6 yearssubmitted by Douglas D. - Oct 02, 2013 |Recommended: YesVery peaceful! Living here is amazing!submitted by Penny D. - Aug 29, 2013 |Recommended: YesI LOVE living here. The entire staff is amazing, helpful and friendly. The amenities are spectacular, and I never want to move. 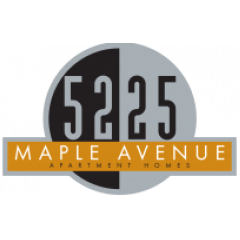 quality service and location near in my work.submitted by Rema D. - Aug 03, 2013 |Recommended: Yes5225 maple avenue apartment is the best place to stay in because of the employees giving the best quality service.i felt the warm welcome when I moved in.Location wise its near to my work. Great location, Great service. submitted by Ricardo A. - Aug 01, 2013 |Recommended: YesIt's close to everything, I have great accessibility to all major highways. I applied at 1420. I was approved by 1445 of the same day. the policies are clear and detailed in the application. Very professional. I have not moved in yet. I visited it twice before applying. I believe I made the right choice.submitted by Adonia K. - Jun 29, 2013 |Recommended: YesI will post a note after I move in. as of now i am very impressed with how quick, professional, and helpful was Christina, the manager. A nice place to stay if you are a student at UTSWsubmitted by Kristopher N. - Apr 01, 2013 |Recommended: YesIt is quiet an comfortable. There are a few fun activities every month if you want to get to know some of your neighbors or just have fun. Nice, needs a few minor updatessubmitted by Brandy R. - Mar 02, 2013 |Recommended: YesI like it, its peaceful. the apartments are nice and I enjoy having a covered parking space. Best mix of value, convenience and care.submitted by Tanner - Jan 15, 2013 |Recommended: YesMy significant other lives in the uptown luxury area, and there is such a sacrifice for actual care. They think that they don't owe you excellent service because the units are so sought after and people are willing to pay x amount for it, so why should they bend over backwards for you? This place is great. Paul and Angela get everything done and I couldn't be happier. PRO'S: GREAT, SAFE PLACE TO LIVE. CON'S: RANDOM RENT INCREASES. submitted by Miguel M. - Nov 27, 2012 |Recommended: YesI LOVE LIVING AT 5225 MAPLE AVE. APARTMENTS. THE APARTMENTS ARE IN AN AREA WITH QUESTIONABLE INDIVIDUALS ROAMING OUTSIDE, BUT THE SAFETY IN OUR BUILDING IS EXCELLENT. WE HAVE LIVED HERE FOR OVER 3 YEARS, AND THE APARTMENTS ARE NOT PERFECT, BUT I TRULY LOVE THE FACT THAT MY FAMILY CAN VISIT FROM SMALL TOWN AMERICA, AND I FEEL 100% SAFE THEM ROAMING OUR PROPERTY WITHOUT BEING HARASSED. THEY VISIT THE GYM, THE MAILBOX ROOM, THE POOL AND THE CLUB HOUSE FOR COFFEE WITHOUT ME HAVING TO WORRY ABOUT THEM GETTING HARASSED. THERE IS PLENTY OF PARKING AND THE MAINTENANCE IS NEXT TO NONE. ANY MAINTENANCE PROBLEM GETS FIXED WITHIN A FEW HOURS AT THE MOST (NOT WITHIN 24 HOURS AS THEY PROMISE). NEVER FAILS! THE STAFF HAS CHANGED A FEW TIMES BUT THIS IS A VERY SAFE BUILDING. SOMETIMES UPS OR FEDEX LEAVES PACKAGES AT YOUR DOOR (WHICH I HATE) BUT NOBODY STEALS THEM OR MESSES WITH THEM IF THEY DO. THE MAINTENANCE STAFF IS VERY FRIENDLY. SAFETY WISE, I GIVE 5225 A 10+. THE CONS: THE RENT JUST WENT UP BY ALOT! ($200-$400) AND NOW ALOT OF OUR NEIGHBORS ARE MOVING OUT. THEY DID THIS TO KEEP UP WITH THE NEW COMMUNITIES POPPING UP, HOWEVER WE DON'T HAVE THE AMENITIES THEY HAVE SUCH AS STAINLESS STEEL APPLIANCES, GRANITE COUNTER TOPS, ETC. YOU NEED TO BE MORE FLEXIBLE TO OPTIONS FOR THOSE OF US THAT HAVE BEEN LOYAL TENANTS AND ARE NEVER LATE ON OUR RENT! OVERALL THIS IS A GREAT COMMUNITY. I WOULD BUY AN APT HERE IF THEY HAD THEM FOR SALE. I LOVE THE PLACE!! submitted by Candice C. - Nov 01, 2012 |Recommended: YesIt is the best property that I have lived on so far. Very nice place to live and close to worksubmitted by Tabitha B. - Oct 14, 2012 |Recommended: YesI think that overall this is a great place to live. I do like the apartment styles. I think that the rent maybe a little too high for the neighborhood that it is located, but overall a nice place to live. I like that the location is close to work. Clean, good location, nice neighborssubmitted by Kristopher N. - Oct 02, 2012 |Recommended: YesIt is located near UTSW and Parkland giving easy access for those who work or attend class there. It is also close to a DART station if driving is not an option for you. They have different events throughout the month where they serve food and you can get to know some of your neighbors. Great valuesubmitted by Paul H. - Sep 05, 2012 |Recommended: YesDiverse demographics. Quiet.